The delusional in pursuit of the impossible. Entertaining for outsiders perhaps, but bad news for residents picking up the tab and wondering where their reliable electricity went. Michael Daley: says, when the wind blows, my RET will be THIS big! Australia’s energy policy crisis is like Game of Thrones starring complete idiots – every crazy plot twist is matched by something crazier still. The latest comes from New South Wales. 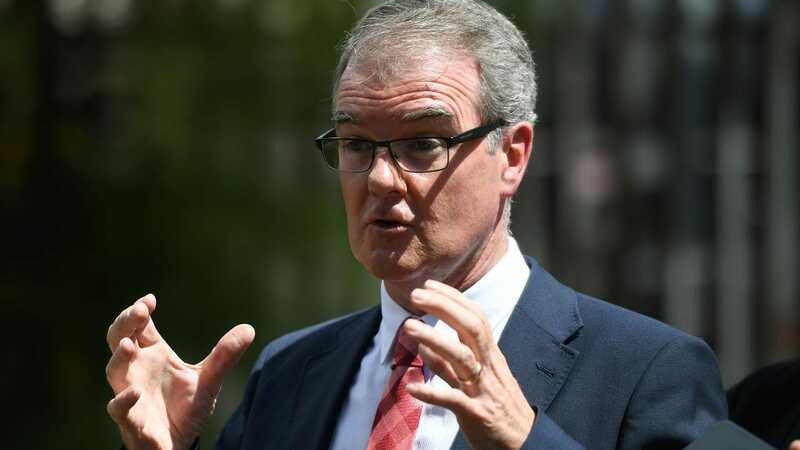 NSW Labor opposition leader, Michael Daley isn’t the first, and he won’t be the last, maniac to suggest the world can be powered entirely by sunshine and breezes. Where the current Liberal Energy (and Arts) Minister, Don Harwin reckons his (secretly hoped-for) 50% Renewable Energy Target is big, Michael Daley’s goes all the way to 11. Should Harwin get his 50% RET, NSW will find itself in the same category as that international laughingstock, South Australia. But if Michael Daley gets his way, it’ll be a case of the last man out, turning out all the lights. Unfortunately, it is always the politicians who are the last to suffer the consequences of stupidity. Get you a Generac for your house. If you have a factory, move it to another country – many will be happy to have you. Energy supply is a fun game for the Left/Greens. Getting power to you is not their prime concern. Maybe not even secondary. Och JB, you can’t be wrong here: Throwing money at ANY & EVERY thing DOES cure all – ‘cos that’s what we’ve heard all our lives ….. so it must be true. ….. unless you are self-employed and have to look and see for yourself. I’m really afraid to say that the whole eco movement is well under way down this route: have forgotten all about Basic Physics ( Archimedes – sea-level and Icebergs etc, and common sense. and then there’s the King’s new Clothes. “People” can’t think for themdselves … just listen to phone-ins and chat progs, the tripe they speak about spending money to cure all evils …. and so on. Och Coffee break over – must go!